We know that in a lot of conditions the mobile phones are not allowed to be used such as during the examination, but what can be done if someone is using the cell phone and then find out the cell phone? Then now the advanced portable cell phone signal detector can just help to reach such kind of goal and just here at detectorall to know more details of it and know the function as well. Full name of the cell phone signal detector that will taken as the instance here is “cell phone signal detector”, which is designed with the aiming of detecting cell phone signals and thus find out if there is any phone hidden out there. This portable mobile phone detector is one of the best solutions under any circumstances, school exams, conference, meeting hall, cinema, oil or gas station, prison and the like. Besides since this mobile phone signal detector is designed with compact size and extremely easy using built-in antenna style. You can carry it along for use anywhere. But don’t underestimate its capability for its super portable size. It is capable of detecting CDMA, GSM, DCS, PHS, 3G signals within a range up to 10m, depending on the strength signal in given area. 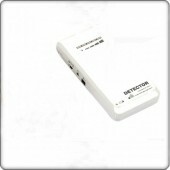 This portable cell phone signal detector also owns the strong battery for long time continuous using. When there is RF signal detected, the working light to turn red to remind you of the find as well as give a voice alarm, if so the using and operation of this mobile phone signal detector is really easy. And now having the need to gain such a mobile phone signal detector, the best choice is just here at www.detectorall.com and there are also other types of mobile phone signal detector offered here as well.